Richard Westcott has recently renewed his playwright ambitions. The Image Theater in Lowell, MA read the 10 minute plays “CAULK” and “BACHELOR PARTY” in their 2010 Naughty Readings. “CAULK” was then fully produced by The Provincetown Players as part of their 2011 Spring Festival. 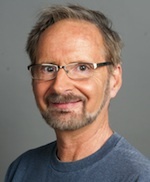 In addition to writing, Richard has acted in Northeastern University’s Silver Mask group, Boston’s Arts in the Parks program, and was featured in a WGBH documentary while in college. Richard works as a background actor, and has appeared with Steve Martin in “PINK PANTHER TWO”; and appears in “27 DRESSES”, Danny Aiello’s “STIFFS”, ESPN’s “THE BRONX IS BURING”, WGBH’s “WE SHALL REMAIN, and “REST IN PEACE DEPARTMENT” still in production.